White House senior advisor Jared Kushner attends a news conference in the Rose Garden of the White House in Washington, U.S., July 25, 2017. Picture taken July 25, 2017. WASHINGTON - The White House has launched an internal investigation into the use of private email by senior aides, pulling batches of emails on the White House server to and from their private accounts, Politico reported on Thursday. 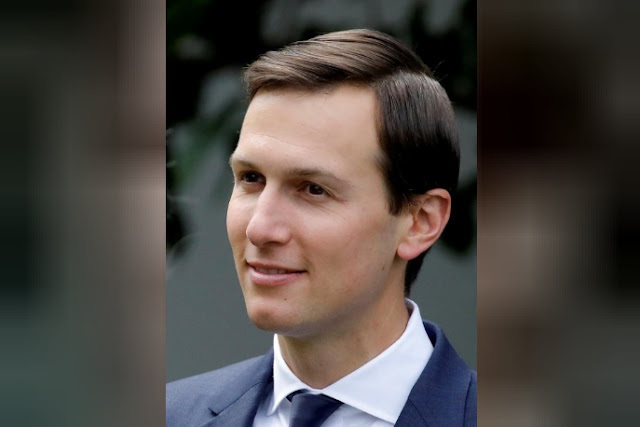 Citing four unnamed officials, Politico said the effort began this week after it reported that President Donald Trump’s son-in-law and adviser, Jared Kushner, and other senior White House officials had used private email accounts to exchange messages for government business. A U.S. House of Representatives committee asked the White House on Monday for information about the Politico report. During Trump’s 2016 election campaign, the Republican real estate developer attacked Democratic rival Hillary Clinton for her use of a private email server for official correspondence when she was secretary of state under President Barack Obama. Some of Clinton’s messages were later determined to contain classified information. The White House probe could take several weeks or even months to complete as officials are searching for all emails sent or received about government business, Politico reported. “The White House counsel’s office is reviewing the accounts to determine if the messages are germane to any investigations such as the ongoing Russia probes by Congress and special counsel Robert Mueller,” Politico reported. Mueller is investigating alleged Russian interference in the 2016 U.S. election and possible collusion with Trump associates. Russia has denied any such efforts, and Trump has dismissed any talk of collusion. Politico earlier reported that other senior Trump aides had also used private email accounts, including former Chief of Staff Reince Priebus, former chief strategist Steve Bannon and economic adviser Gary Cohn. The New York Times reported on Monday that private accounts were also used by the president’s daughter Ivanka Trump after she became a White House adviser and by Stephen Miller, a senior Trump adviser.